Delivery of a new Lancer Boss 546 Sideloader. We have just taken delivery of a fully refurbished Lancer Boss 546 Sideloader. The refurbishment was carried out by specialists W R Material Handling of Grimsby and has been purchased to replace a similar machine that had been with us for a number of years. 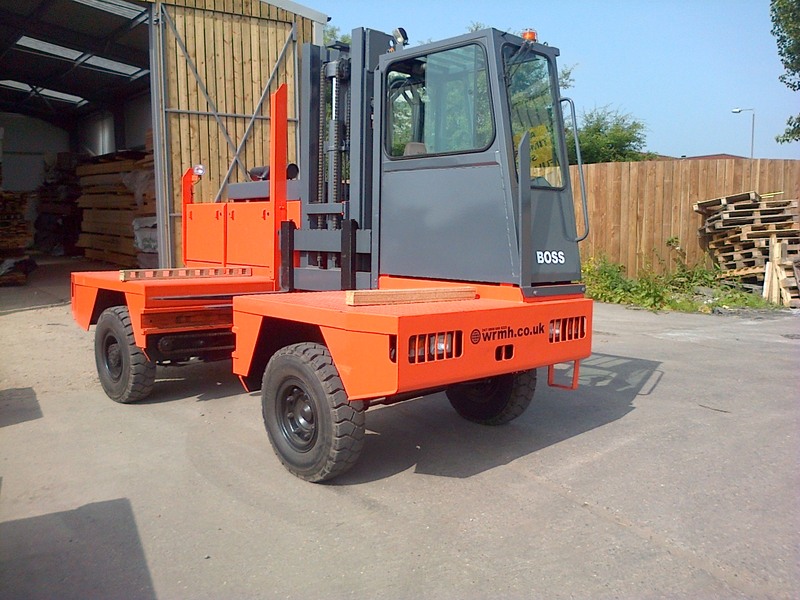 A sideloader is essentially a forklift with the forks at the side rather than the front which is extremely versatile for lifting both individual pieces and packs of timber.